Happy Hamby Campers: "That's not flamingos!" Many years ago, I was an exchange student in Kenya - so when I read about Pink Lake, I was reminded of seeing Lake Nakuru and it's resident flamingo population. I was talking about them in the car as we drove away from camp. 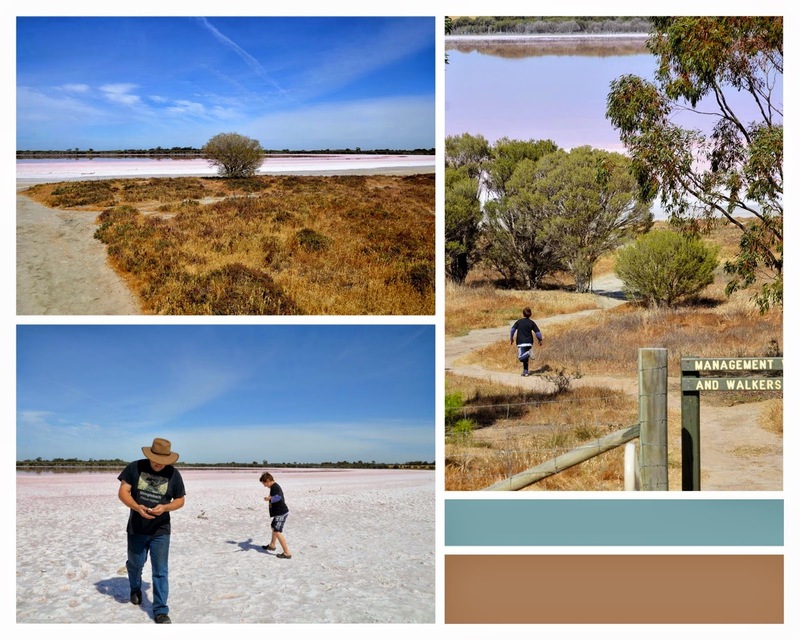 When we first spotted Dimboola's Pink Lake, Vaughan quickly commented: "that's not flamingos"! As soon as Elmer stopped, Vaughan was out and running down the access track to the lake. We were all quite amazed by the sight that greeted us. It really was very neat! There was no information board at the lake. 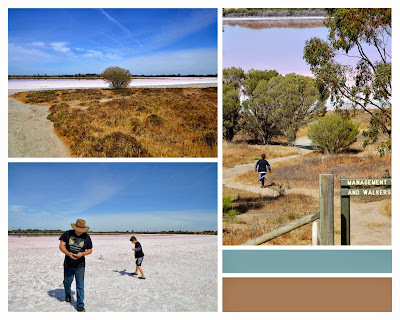 I've been googling though and found this link, which includes a video of an ABC Landline story about the lake and it's history of salt mining. Commercial salt-mining had continued at the site for many years but ceased in the late 1990s. 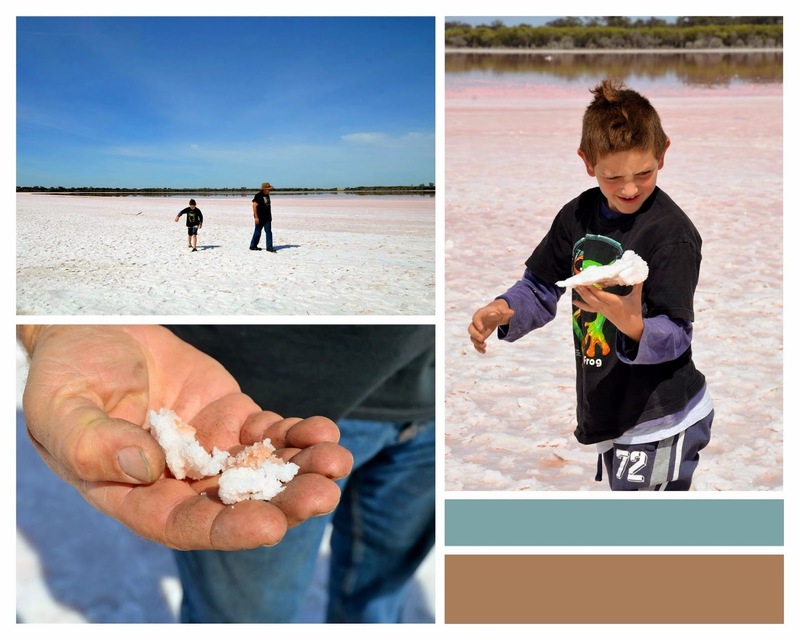 When the story screened in 2009, a business operator had just started small-scale salt harvesting of the pink salt, to market as a gourmet food.